Presentation set with high-quality microphone capsule: Super-cardioid SKM 300-845 G3 handheld mic with gripping sound, EM 300 G3 true diversity receiver with 1680 tuneable UHF frequencies, MZQ 1 microphone clip. 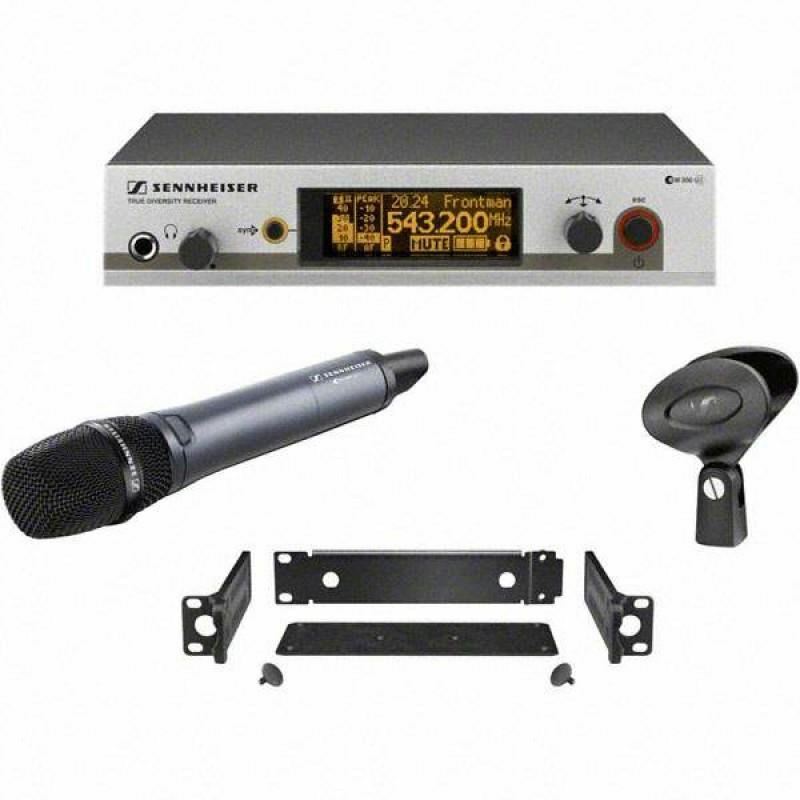 Sennheiser IEM-300-2 In-ear monitoringThe ew 300-2 IEM G3 bundle includes an extra bodypack and earphones. Hear better, perform better. Sennheiser monitoring systems are trusted by professionals worldwide and now are better than ever. Featuring an adaptive-diversity receiver, the receiver pack uses ..
Shure FP 15-83 Lavalier Wireless SystemShure FP15/83 merupakan satu set mik broadcast dari Shure yang terdiri atas Transmitter Bodypack FP1, Receiver FP5 yang ringan dan dapat di mount di kamera, dan mik lavalier WL 183. Penggunaannya sangat praktis dan sangat adaptif terhadap lingkungan pereka..
Shure WH20 Dynamic Headset MicrophonesHeadset Shure WH20 memiliki kualitas yang tinggi dan sangat cocok digunakan untuk instruktur aerobik dan musisi dengan visibilitas rendah untuk penampilan panggung..